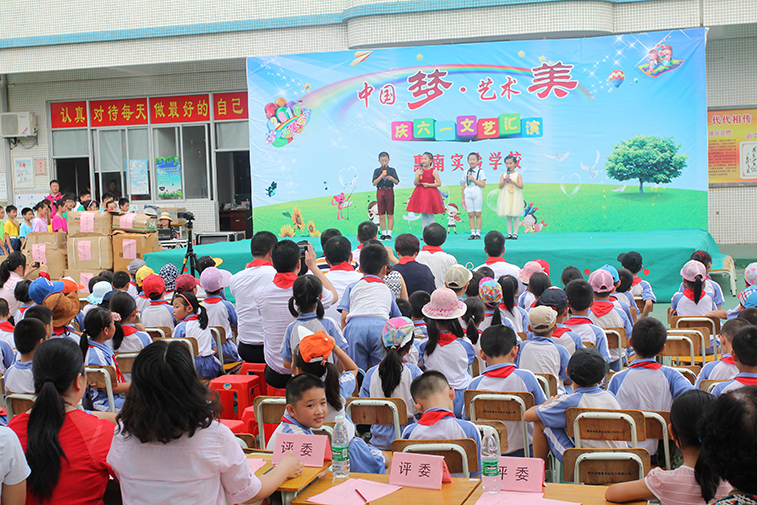 On the occasion of the Children's day, our company took part in Children's day condolences activities on June 1st,organized by federation of trade unions in Huinan Park and women's committees,presenting school supplies,such as stationery,outside reading,for kids studying in Huinan Experimental School,and expressing holiday wishes to the lovely children. 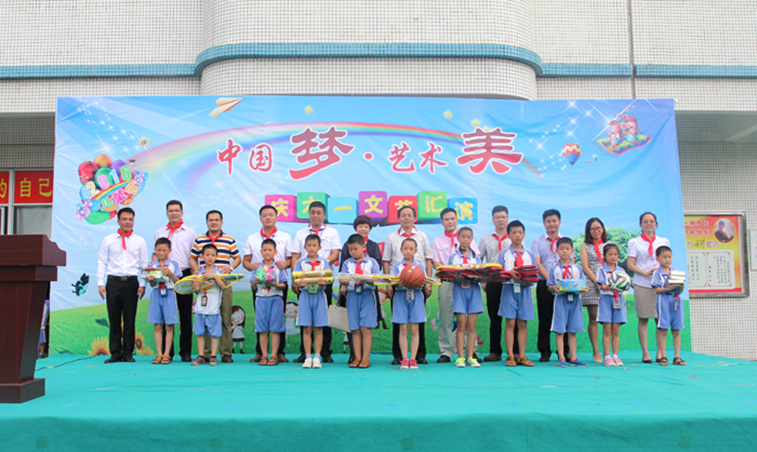 On that day,Wang Xiqing,Deputy Director of Management Committee in the park represented condolences group to express our warmest greetings to the children, and our heartfelt thanks to hard-working teachers. He pointed out that Huinan Experimental School,the first one opening for migrant children in our city,must continue to improve compulsory education quality level in order to create a good learning conditions for the children and let them grow up in an all-round way .After that,the visiting group together with the school teachers,students and parents representative watched "Chinese dream,Artistic beauty", an art show celebrating Children's Day in Huinan Experimental School.The children spent a happy and meaningful Children's Day in the scene of constant laugh. The condolences activity brought holiday joy to the children,and also passed children's care and love from all sectors of society. Children are the future of the country, caring for children healthy growth is common responsibility in the whole society.We call for more people to join in social practical action of caring children and form social force of conducing to children's healthy growth and protect them grow up healthily and strongly.